Young readers have read and loved Anne of Green Gables and its spunky, smart heroine, Anne Shirley. 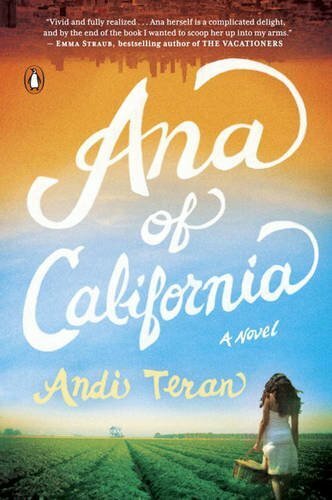 Debut novelist Andi Teran reworks this classic in Ana of California. Teran introduces characters with modern sensibilities and issues while staying true to the heart and spirit of Montgomery’s series. The novel also reflects Teran’s Mexican heritage. To enter to win both books, please email us at bookwinked [at] gmail.com before July 24, 2015! Contest open to U.S. residents only. Congratulations to our giveaway winner Carol! This entry was posted in books and tagged ana of california, Andi Teran, anne of green gables, Anne Shirley, giveaway, penguin books, summer reading. Bookmark the permalink.